It’s not that out of the ordinary to hear of large real estate investment gone bad. One piece of the intricate puzzle deceives another and the whole deal falls apart. That’s supposedly what happened with the massive complex in this video. Bummer for the developers, awesome news for local FPV pilot craig_dt and his crew! They ripped up the abandoned complex, ironically once named “Legendary,” in this bando flight. 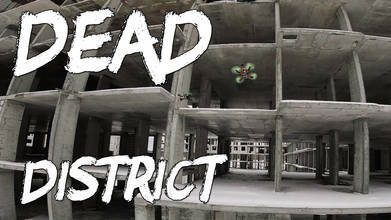 Description: We was at abandoned district. This is district with deceived real estate investors, so it was not full build.... It names "Legend".... Funny. But we decided to use it in our goals!